Dr. Ziba Shirazi and her associate dentist, Dr. Beavers, are committed to delivering the best dental care possible. Our dental practice in Poway sees families and individuals of all ages, providing a positive dental experience that supports your oral health. Twin Peaks Dentistry has served the community for some time, offering trusted dental care that many families have come to rely on. Browse our website and discover our service offerings. Call if you have questions or wish to schedule an appointment with our kind staff. It is Dr. Shirazi’s mission to restore confidence in her patient’s smiles. She finds it gratifying to help people smile again, whether by providing general or cosmetic dental treatments. Although excellent oral health is her goal for all patients, she believes in providing treatment that is beneficial to a smile’s appearance as well. Our dentists have an eye for aesthetics and offer a range of treatment options to optimize oral health and beauty. If you hide your smile or have multiple imperfections that affect your teeth, we offer solutions that address the issues and enhance self-esteem. Every patient has unique dental needs that are different according to their age group. Children require more dental education than most patients, as well gentle care that keeps their development on track. Teens and adults require care to protect their permanent teeth from decay and damage or to enhance their aesthetics. Elderly patients benefit from routine deep cleanings to prevent the spread of periodontal disease, or restorative work to rebuild dental function. Dr. Shirazi and Dr. Beavers provide an array of treatments that can help you obtain a bright and healthy smile. We see all patients, from children as young as one to elderly individuals. 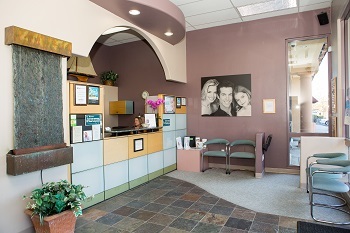 Our clean and comfortable office allows patients to receive dental treatment with ease. We pursue the highest standards of sanitation to protect patients and utilize quality materials that support long-term oral health. A trusted dental lab fashions our patient’s restorations, allowing for incredible reliability and quality of fabrication. In addition to the excellence of our treatments, we treat every patient as our own family and afford them the respect and compassion they deserve. If you’re seeking quality dental care that you can trust, contact us today. We offer general dental and cosmetic treatments in Poway, to families and individuals with a range of oral health needs.